Magazines: check. Bread: check. $35 Whole Foods sandwich: check. Creepy guy in line: check. Seems like everything's got a bar code on it these days. But did you ever stop to wonder where those ubiquitous stripes came from? So the grocery store's target got shelved. Now, checking out at a decent clip is important to those of us used to the frantic pace of modern-day commerce, but 50 years ago it wasn't a big enough deal to drive the technology forward. Another industry, however, needed the speed urgently: the railroad. When your business hinges on the need to identify the owner of a train that's tearing through your yard before it's a dot on the horizon, quickly scanned labels are the stuff of dreams. So in 1959, railroad research and development managers got together and decided they needed to figure out how to grab owner and serial number data from passing trains. David Collins and Chris Kapsambelis of Sylvania stepped up to the challenge. They called their system, out in 1962, KarTrak. (In name, at least, it influenced another gathering-data-from-moving-vehicles systems. See: FasTrak). The set up was this: a Xenon white light hit red, white, and blue horizontal reflective tape pasted on the side of rail cars. A sensor gathered data by measuring the width of each passing bar. Just five years after its invention, all North American trains were required to pick up the system. Success! Unfortunately, it was abandoned almost as quickly. It turned out that the cost of maintaining the fancy Xenon lights and training railroaders across the country was too expensive. Oops. But other industries were on a similar, um…track. In 1967, independently developed bulls-eye-type systems for point of sale were used by Kroger in Cincinnati and later by Migros in Switzerland. It wasn't just about fast price scanning; bar codes told retailers in real time what products were flying off the shelves. But again, the scanning tech was still a little screwy. When Collins (of KarTrak) and company couldn't find what they needed to read their lines, they invented it. And you know what makes a technology more awesome (and in this case better)? Put a laser on it. 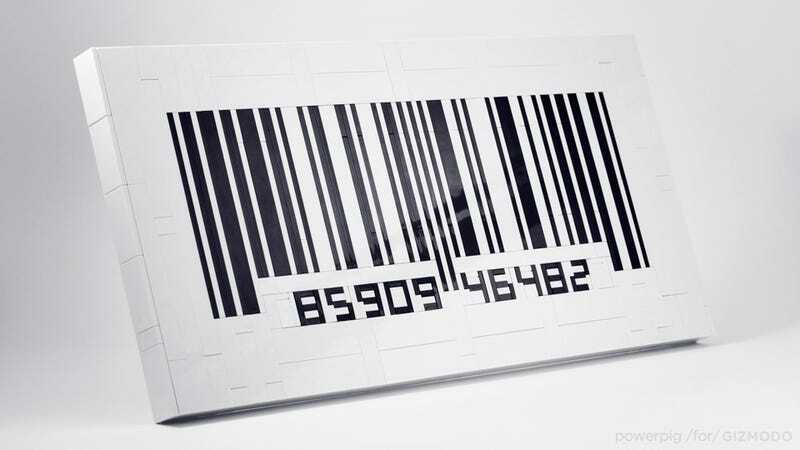 The fixed helium-neon laser was perfect for the bar code—it was quick, accurate, and robust. Today, the bar code comes in a lot of flavors. NASA uses a 3D variety, which is etched directly on the surface of objects, grocery stores use UPCs to mark their food, and captured QR codes bring cell phone users instant information. So next time you beat the line by going through the self check out, say a little thanks while you scan.